Milo (Ruffin) is a fourteen year old who lives with his older brother, Lewis (Moten), in the apartment they shared with their mother before she died. Milo is a loner, with no friends, no other family, and he’s regularly bullied by some of the children at his school. He is fascinated by vampires, and spends a lot of his spare time watching vampire movies. When we first meet him, Milo is in a bathroom stall drinking the blood of a man he’s just killed. Milo’s vampiric behaviour is dictated by a monthly schedule that he’s worked out, and he chooses his victims at random. He uses a blade disguised as a pen to stab them in the neck, and it’s from the wound that he drinks their blood. But he’s not always able to keep the blood down, and he has none of the traditional signs that identify a vampire: he can go out during daylight, he doesn’t have fangs, and he still casts a reflection. But in the past he has mistreated and killed small animals, something his school counsellor is aware of. However, Milo reassures her that he doesn’t do that anymore, though unsurprisingly, he stops short at telling her why. There’s much to admire in writer/director Michael O’Shea’s debut feature (expanded from his 2014 short, Milo). 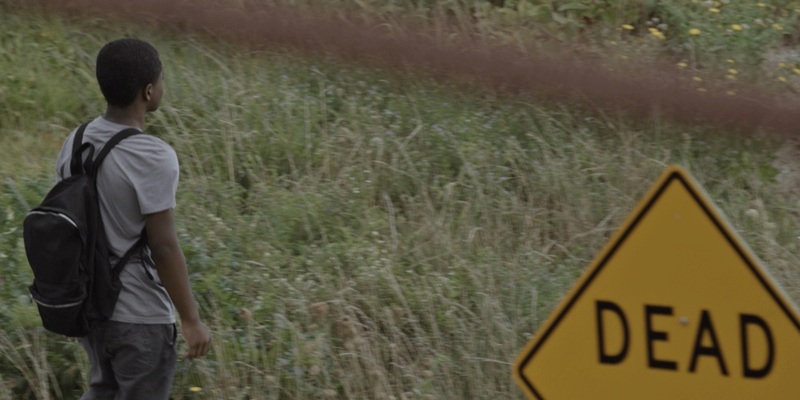 It’s a strong amalgamation of an indie teen drama and a low-key horror movie, and the melding of those two genres has created a deceptively powerful feature that moves slowly (and yet deliberately), and which brings an uneasy tone to the material. You could argue that the narrative concerns a teenage boy who wants to be a vampire, or conversely, that it concerns a teenage boy who wants to be normal. That’s what makes the movie tick: Milo wants to be a vampire, but once he meets Sophie, he wants to be a normal teenage boy as well. It’s this duality that drives the character of Milo and makes his situation so desperately sad. He has persuaded himself that he is a vampire – of sorts – but equally, he wants to have friends and be a normal child as well. But can he? Is it too late? 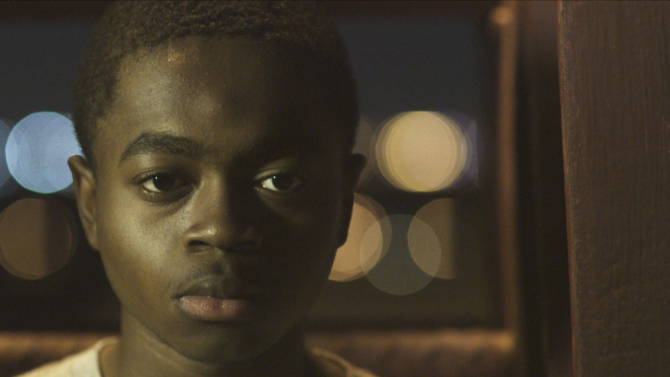 In keeping with its downbeat tone, The Transfiguration offers no easy answers, keeping the audience guessing if Milo is a real vampire or not right until the end (though for some viewers the answer will be a little more cut and dried). When it moves and sounds like a horror movie, O’Shea shows great promise, and there are moments where Milo’s behaviour, allied to Ruffin’s ability to provide a thousand-yard stare when needed, creates a chilling, morbid antipathy that suits the material and makes it unexpectedly expressive in terms of examining the inner life of a fourteen year old sociopath. Milo is quite detached from the world around him, only connecting with it if it can add to his obsession with vampires. We see the moment where he changes from being merely interested in vampirism to adopting the mantle of a bloodsucker. It’s a disturbing scene, made all the more disturbing for the way in which O’Shea portrays it as both a sacrificial offering and a rite of passage. Having Sophie come into Milo’s life allows for some hope to form that Milo can be “saved”, that it’s not too late for him to be a part of the “real” world. As their friendship develops, O’Shea has Milo yearn for a simpler life (albeit one still spent watching vampire movies), and he begins to make an effort in that direction. But his craving for blood, and the secret life he leads proves too much. When he realises he’s missed that month’s date for hunting, Milo takes a bigger risk than he’s ever done before, and his actions show just how overwhelming his obsession has become. Just like the psychopath who needs to kill more and more victims to feel a continued sense of purpose, so Milo learns that he can’t escape the life he’s taken on. And so he does the one thing he can to save himself, and to save Sophie. Like many first-time directors though, O’Shea is guilty of letting some scenes go on beyond their natural length, and including others that remain superfluous no matter how much they might feel integral to the script. There are also certain stretches where it seems as if the material is waiting for the right moment to move forward, and is hanging around on purpose until it arrives. As a result of this, the movie’s pace is often uncomfortably slow. Fortunately, O’Shea is on firmer ground when it comes to the relationship between Milo and Sophie, and he’s blessed by two impressive performances from Ruffin and Levine. Ruffin’s serious, sincere approach makes Milo all the more believable – and sympathetic – and in his scenes with Levine he displays a maturity that makes his performance all the more credible. Likewise, Levine imbues Sophie with a kind of damaged, yet reluctant vulnerability, as if her being aware of her situation isn’t about to define her if she can help it. In their scenes together, Ruffin and Levine share a chemistry that is completely convincing in terms of their characters finding common ground and coming to depend on each other. As an ambitious melding of two distinct genres, The Transfiguration is a welcome change from the usual, run-of-the-mill offerings seen these days, and though it’s not entirely successful, its faults can be readily forgiven. O’Shea has made a movie that tells its story with a great deal of attention to detail, and in a robust, satisfying manner. More of a considered indie/arthouse horror than an out-and-out scarefest (and all the better for being so), O’Shea’s debut feature explores themes of alienation, morbid obsession, and emotional dysfunction, and in places, is genuinely unsettling. A surprise hit at Cannes in 2016, this will still only appeal to a certain audience, but if you have the time and the patience, it’s well worth seeking out. 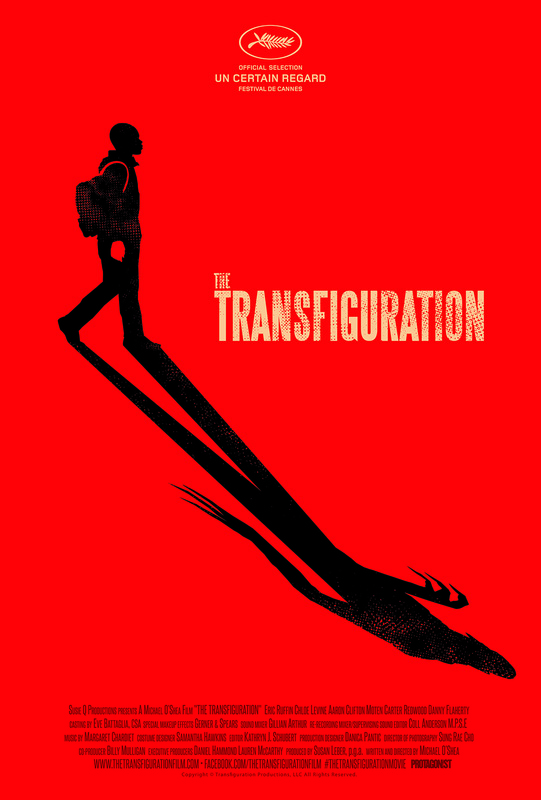 Rating: 8/10 – a carefully constructed urban horror movie, The Transfiguration won’t be to everyone’s taste, but it is a tremendous addition to the small group of vampire movies that actually have something to say about the subject; boasting a superb performance from Ruffin, and a denouement that is both sad and uplifting, this is intelligent, vivid stuff that marks O’Shea as a moviemaker to watch out for in the future.